Feist, whose last album came out in 2011, is angling to be a much bigger presence in 2017 than she has in the past couple of years. 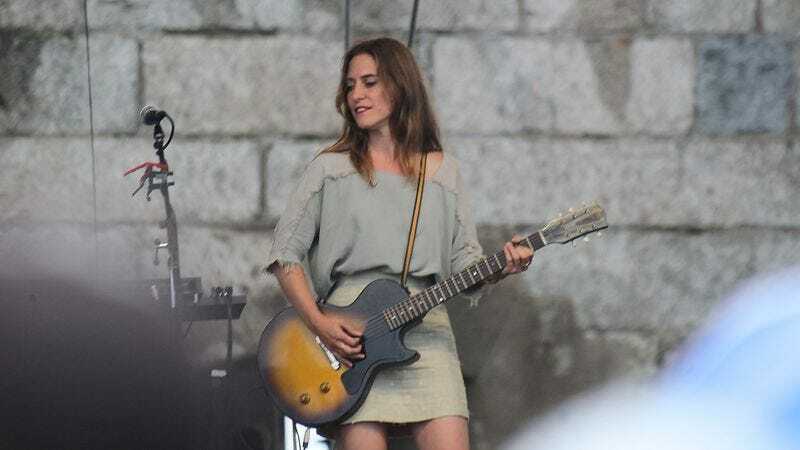 Not too long ago, she said that she was going to be appearing on the upcoming Broken Social Scene album, and today she revealed that a new solo project is due out in the spring. Entertainment Weekly reports that Pleasure will be released April 28, and will tackle themes like “loneliness, private ritual, secrets, shame, mounting pressures, disconnect, tenderness, rejection, care and the lack thereof,” per Universal. So get ready to curl up with this one and seriously evaluate your life and priorities. If you want to take your deep contemplation out into the world, the Canadian musician also has scheduled appearances at the Winnipeg Folk Festival, Field Trip Music Festival in Toronto, and Eaux Claires Music And Arts Festival planned. That Broken Social Scene record may arrive during the summer summer as well.